There's no denying it; Jakarta is a truly special place. Located on the island of Java, the Indonesian capital is home to over 30 million people - that's right, 30 million - and it's predicted that it'll have 35 million inhabitants by 2030, making it the world's largest city. It comes as no surprise then that there is a wide range of hotels on offer. 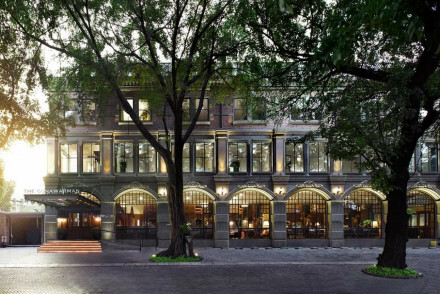 Our pick of the best places to stay in Jakarta are grand properties which give a real sense of history. Jakarta's roots stretch all the way back to the 4th-century, and it was unsurprisingly the capital of the Dutch East Indies during their colonial era. In an Eastern parallel of New York's nickname 'The Big Apple', Jakarta is known in Indonesia as 'The Big Durian' - a reference to the region's native fruit. Its geopolitical setting and bustling atmosphere have made it a major player in world politics; it's now classified an alpha city, meaning it's a main player in the global economic system. Visitors will find plenty of high-rises and people hurriedly running around in business wear, but there are also numerous pockets of vibrant cultural spots which are full of artsy, bohemian types.This city of contrast is bound to surprise and delight. Spend an afternoon (or an entire day if you wish!) at the Grand Indonesia Mall. With hundreds of shops, lovely restaurants, and an indoor playground for kids, it's got something for everyone. The stunning Istiqlal Mosque is an absolute must-visit for all. Beautiful Indonesia in Miniature is a large park full of a variety and buildings from all of the country's different cultures - a great way to get a taste of the country's diversity. Those into history and culture should definitely head to the National Museum and Museum Bank Indonesia. Browse through our pick of the best places to stay in Jakarta and start planning your trip. The Gunawarman, set in an impressive colonial building, boasts wonderfully smart accommodation featuring plenty of wood panelling and parquet floors accompanied with antiques. Lovely European cuisine served up in their two restaurants - a dreamy stay. The Hermitage oozes colonial chic with its cream accommodation, high ceilings, and smart furnishings. Its wonderful restaurant, spa, pool, and lovely bar only add to the splendour. Fly into Jakarta Airport, located 20km northwest of the city, before taking a direct train in. The dry season runs from June to September so you're probably best off visiting at this time of year. The temperature usually stays between 25-32°C year-round. If you want to explore further afield then consider hiring a car with Rentalcars. Browse through our entire list of the best places to stay in Jakarta. Widen the net to include all our recommendations in Java or in Bali. An imposing colonial building standing proud in the central business district. Lovingly restored throughout, find polished parquet floors, wooden clad walls and antique furniture. Dine on exemplary European cuisine in either of the two restaurants and sip cocktails in the atmospheric bar. Very chic. City Style - A grand colonial property perfectly mixing the old and the new. Sights nearby - Visit the incredibly impressive Istiqlal Mosque. 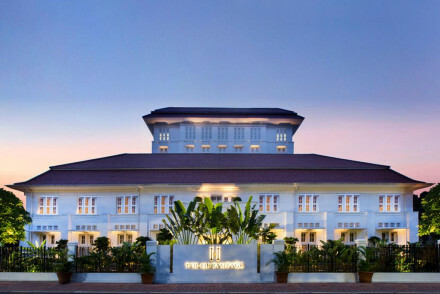 An historic property located in the exclusive Menteng district. Colonial in style throughout - think high ceilings, antique furniture and gently whirring fans. The restaurant is one of Jakarta's most popular spots, and the pool and spa are a welcome respite after a day exploring the city. City Style - A historic hotel offering timeless charm. It's also one of 'the places' to see and be seen in Jarkata. Local markets - Scour the Jalan Surabaya Art Market for regional works.